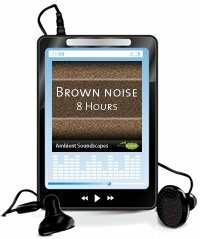 A downloadable 8 hour MP3 track of continuous brown noise, for sleep, meditation and for blocking out unwanted distractions & annoying noises like tinnitus. NOTE: The 8 hour brown noise track I have on YouTube contains a dip in volume every hour, because I created it by looping a 1 hour track, which had the volume fading in and out at both ends. This 8 hour track has a constant volume and doesn't contain any changes in volume in the middle of the track. 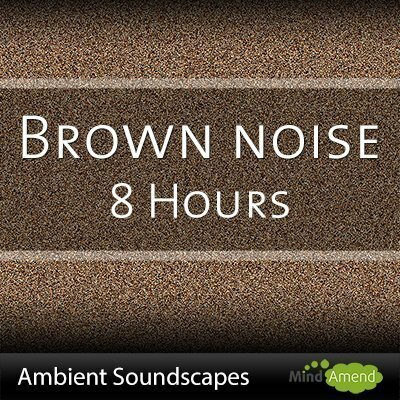 The soothing sound of brown noise can be helpful to block out distracting background sounds and be used for relaxation or sleep. No brainwave entrainment tones are contained in this track. How Does Brown Noise Differ from White and Pink Noise? Pink Noise: The higher frequencies are not as loud, so pink noise is generally more pleasant to listen to than white noise. With this MP3 version you can listen to it anytime without having to be online.